Stax is a lightweight, multipurpose chair that features a gracefully sculpted back and a luxurious waterfall seat for enhanced comfort. Its elegantly flared legs are designed for enhanced durability and stability. 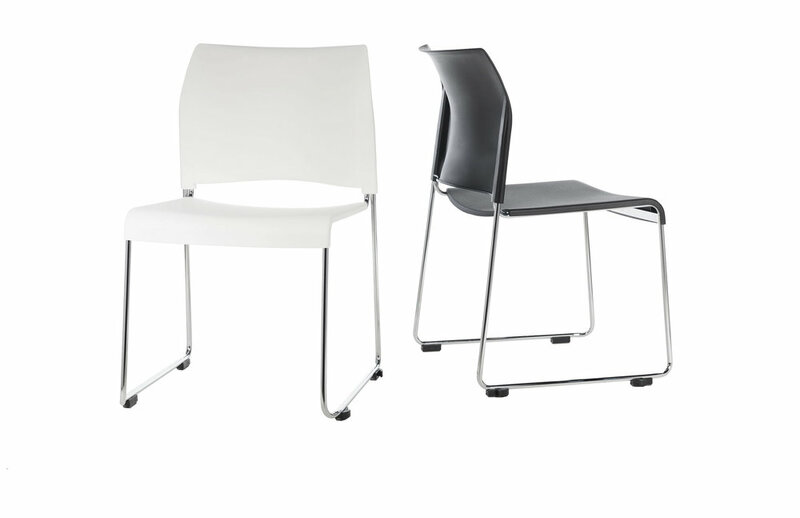 Its slim chrome frame includes an integrated interlocking feature, which makes it quick and effortless to team Stax chairs together in straight rows that stay connected. Stax is comprised of high-density polypropylene that is easy to clean and is available in 8 designer colors.